For police detectives, solving complex criminal cases is a lot like solving puzzles. It's often incredibly interesting and mentally stimulating work. Working as an investigator offers opportunities to bring closure to families and justice to criminals. 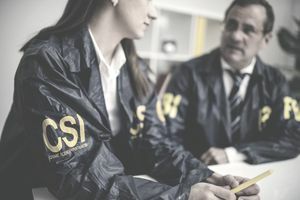 At an average salary of $56,000 per year, the job doesn't pay that bad, either — all the more reason for you to want to learn how to be a police detective. Criminal justice is full of great careers, but one thing they almost universally have in common is that you have to start at the bottom and work your way up. It is also true for detectives. To make it as a criminal investigator, you need first to become a police officer. That means going through the entire law enforcement hiring process, attending the police academy, making it through field training, and getting off probation. Detective jobs are either promotions or lateral transfers from within the police department. The individual requirements may vary from department to department, but since it is a specialty position, you can expect to have to serve as a police patrol officer for 2 or more years before you're even eligible to be considered for a detective job. If, after becoming a police officer, your goal is to make detective, you want to spend your time on patrol making a name for yourself. Just like any other job, your work history matters here. While on patrol, you can develop a reputation as a hard worker, an independent problem solver, and a good investigator by properly, promptly and accurately handling those cases you'll have the ability and resources to take care of on your own. Your work product, and specifically your report writing skills, will become very important. Investigative reports are lengthy and extensive, and writing reports is a major part of a police detective's job. If you don't write well, take some report writing classes or a college-level English course to hone your skills. Use the time you spend as a patrol officer to learn the ins and outs of police work, and take the opportunity to spend time with detectives to learn more about what they do and what kind of officers they're looking for to add to their ranks. It will help better prepare you for the next step in your career. Every police department will use a different method to select detectives from the ranks of their police officers. Some may use a written exam, some an oral interview, and some may just base their decisions off of work history alone. In many cases, it will likely be all of the above. Once you make it as a police officer, learn all you can about the process for your specific department so you can properly prepare for promotion to detective. A lot of people become disheartened when they realize that they may have to spend years working as a police patrol officer before they can even get a shot at becoming a detective. The time, though, can be very well spent learning about people, laws, and criminal process, all of which will make you a better detective. In the end, the job is well worth the wait, and if you stick it out, you will likely find that it's the perfect criminology career for you.